The Surface Saver™ urethane is the right material for the snow plowing application. It has been specially formulated to withstand the rigors of plowing with added abrasion resistance, and a brittle point of -30º. Available sizes: 6", 8", 10", 12" high x 1", 1-1/2" or 2" thick. Standard lengths up to 144" long; longer lengths and different thicknesses available. Available with mounting slots (3/4" x 3-3/8") or blank (without punches). Plowing airport runways, city streets, and parking lots provides unique challenges to winter maintenance professionals. The need to keep these surfaces clear of snow and ice must be balanced against the desire to minimize damage to the road surface and raised obstacles such as runway lights, reflectors, and manhole covers. 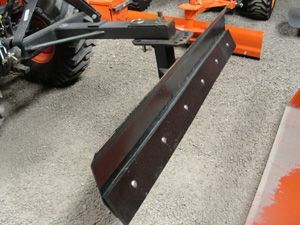 The Surface Saver Snow Plow Blades are stiff enough to break through frozen snow and ice, yet flexible enough to absorb impacts with raised road hazards. Since the blade is helping to absorb the impact forces, plow driver safety is improved and equipment stress is reduced. It's easy to see that The Surface Saver Snow Plow Blades can help you to handle winter's worst. 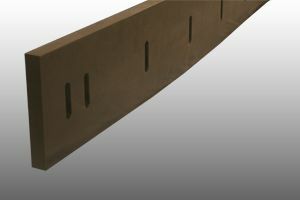 Designed to combat unnecessary downtime and maintenance, The Surface Saver™ specially-formulated polyurethane is site-tested to withstand temperatures to -30º below zero and is proven to outlast steel, rubber and plastic alternatives, as well as other polyurethane products in the industry. The Surface Saver blades has a five times higher abrasion resistance than rubber blades. 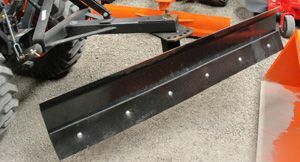 Using The Surface Saver Blades made from a special formulated compound will reduce labor cost and downtime. Our new compound gives you urethane quality blades at rubber/neoprene pricing.